This is a very popular cake. It is known as Souffle Cheesecake or Cotton Cheesecake. 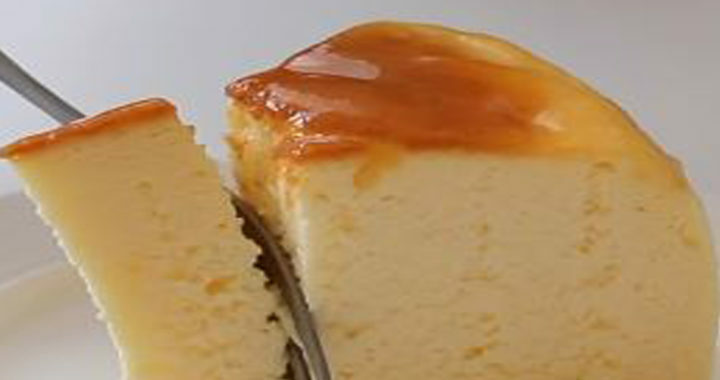 Cheese and cake lovers should definitely try this recipe! And today, I will direct you to the steps to make This fluffy and moist Japanese Cheesecake through a very quick and easy way. 1) In a large bowl, mix the 2 egg yolks with 15g of sugar. 2) Add around 12g of pastry flour, and keep whisking with your hands until it’s well mixed. 3) Pour the 150ml milk into the mixture, and whip it until you get a nice broken white color. 4) Now, put the whole mixture on the microwave at medium fire, and keep whipping with your hand until you get a nice thicken mixture, then remove it on the fire. 5) Now, it’s time to add the 30g of unsalted butter, while the mixture is still hot. So, you’ll be able to mix it easily. 6) Once you get that nice thick mixture, add 200g cream cheese to it and mix them together. 7) And for the flavor, add 1/3 lemon zest and the lemon juice and whip until it’s mixed. 8) Cover it with cellophane wrap, and set it aside. 9) Beat the two egg white, and keep adding the 45g of sugar little by little until it’s creamy. After that, mix it with the main mixture and whisk until they’re well mixed. 11) Now, pour the batter into a non-stick pan. Wrap it with aluminum foil. 12) Put it in a water bath, and bake it in oven preheated to 160C for 20min, then reduce the oven to 140C and bake it for another 40min, and raise it to 170C and bake for 5min. 13) Take it out from the oven, and moisten its top with jam, and slide it back to cool in the oven. 14) Once it’s cool, slide it out and cover it with the cellophane wrap and leave it chill overnight in the refrigerator. Tagged japanese matcha souffle cheesecake recipe, Japanese Souffle Cheesecake, japanese souffle cheesecake near me, japanese souffle cheesecake recipe.